Many hotels offer swimming pools, while some offer full-on water parks. These family hotels offer one or the other or in some cases, both. But the best thing these hotels do? Waterslides. 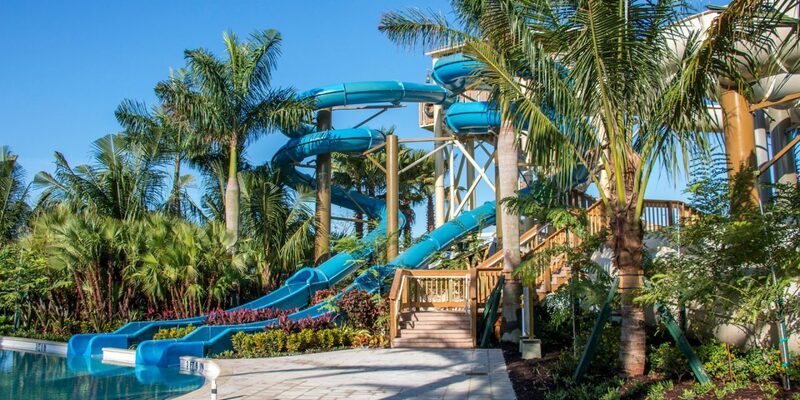 Kids can wind, twist, turn and drop their way down these amazing hotel waterslides before splashing into a pool or lazy river (and then do it all over again… and again… and again…). 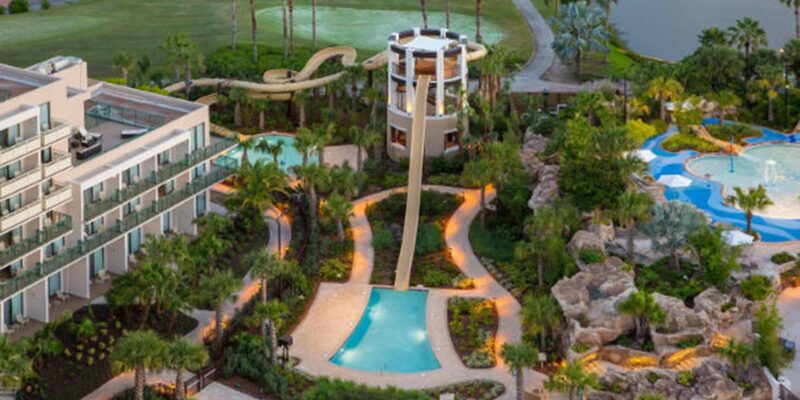 Young kids love the Slide Tower at Orlando World Center Marriott. The slide is actually two in one, measuring 200 feet from top to bottom. Teens, on the other hand, like to head straight for the 90-foot speed slide! Don't be surprised if the kids would rather spend a day here than go to Disney World. 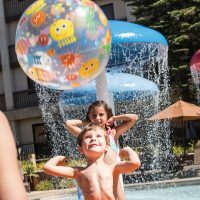 The resort also offers several pools (including a kiddie pool), as well as a lazy river. 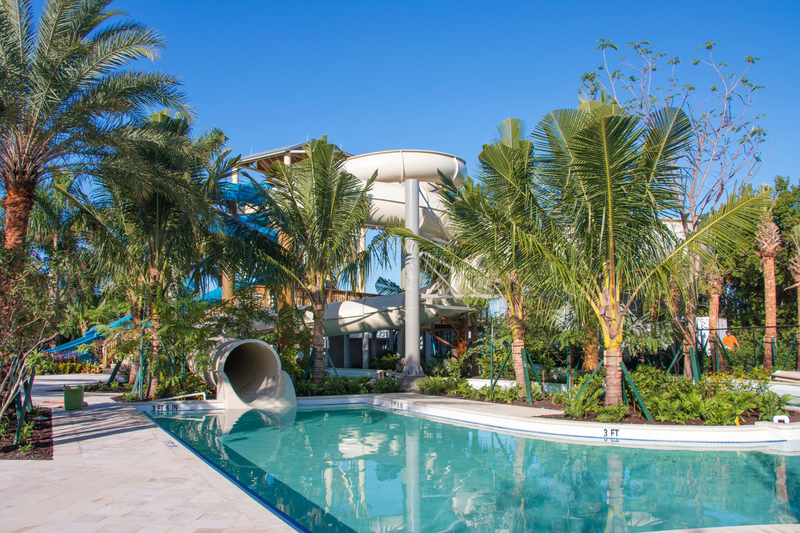 A destination resort in Bonita Springs, Florida, the Hyatt Regency Coconut Point Resort & Spa has four waterslides within its newly expanded water park. Two of the slides are speed slides; one is an inner-tube slide (perfect for young kids and families) and the fourth slide is shaped like a corkscrew. All of this is in addition to a heated lazy river and pools. What's better than a hotel within walking distance of Disneyland? 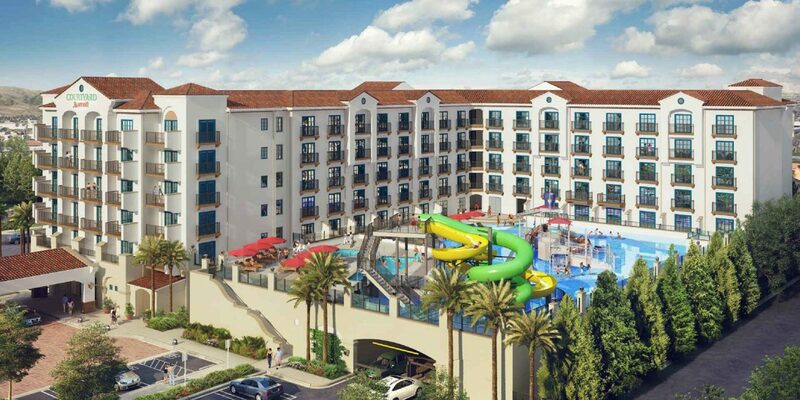 A hotel with a waterpark and waterslides that's within walking distance to Disneyland! The Courtyard Anaheim Theme Park Entrance features two 30-foot waterslides -- one open and the other enclosed. The waterslides are the centerpiece of Surfside Water Park, where other fun includes a spray ground for little ones and two swimming pools. In Puerto Rico, El Conquistador Resort's Coqui Water Park has several waterslides, including the El Gigante Dormido that drops riders 40-feet in a nearly vertical plummet. It's not for the faint of heart! The resort also has three high-speed slides at Torre de Yocahu Tower. 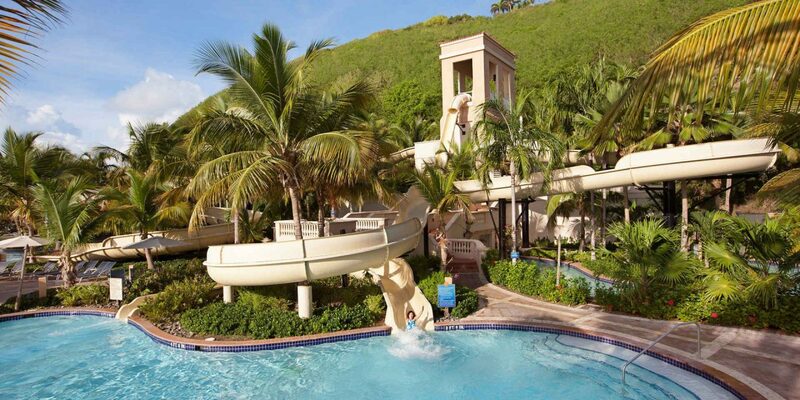 And did we mention all of the waterslides face the Caribbean Sea? It doesn't get any better than this - Citta del Mare Hotel Village in Sicily features waterslides that dump riders into the ocean! 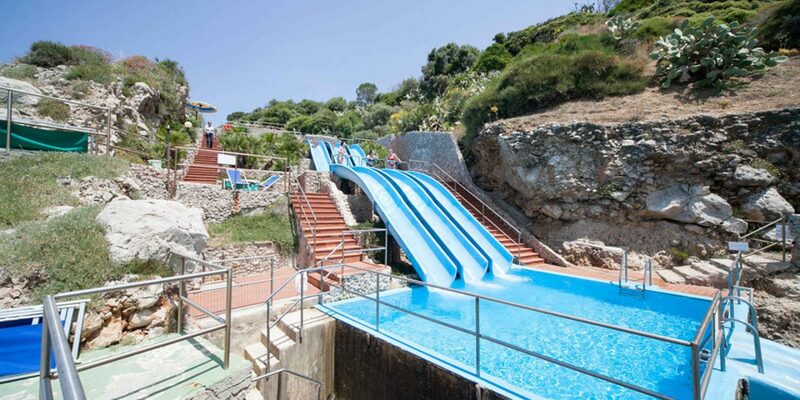 Best for families with teens, the slides start at the top of the resort, dipping into small wading pools before ultimately dropping riders into the Tyrrhenian Sea. The hotel itself is basic, but the waterslides are totally worth a short stay. Two words: Shark Chute! The Shark Chute at Golden Nugget Las Vegas is an enclosed waterslide that travels right through a tank full of sharks! Tours of the shark tank (which include feedings) are also available for both guests and non-guests of the hotel. 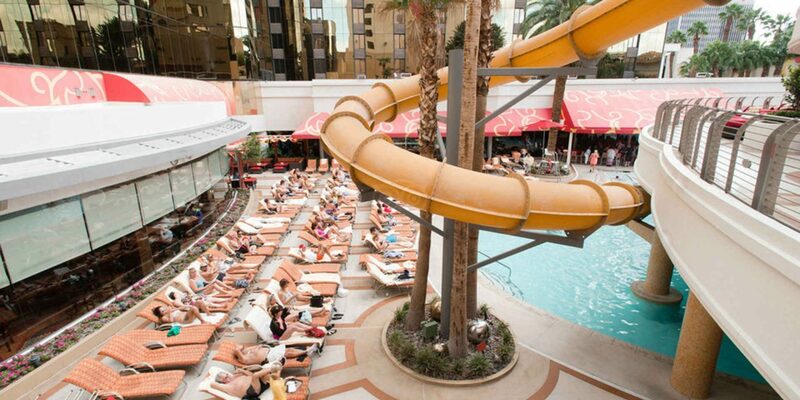 The Golden Nugget Las Vegas features a rooftop swimming pool, as well. It's all in the name! The iconic Leap of Faith waterslide at Atlantis Resort in the Bahamas drops riders 60 feet in a nearly vertical nose-dive that ends in a shark-filled lagoon. Talk about an adrenaline rush! The resort's Aquaventure water park features nine waterslides in total. 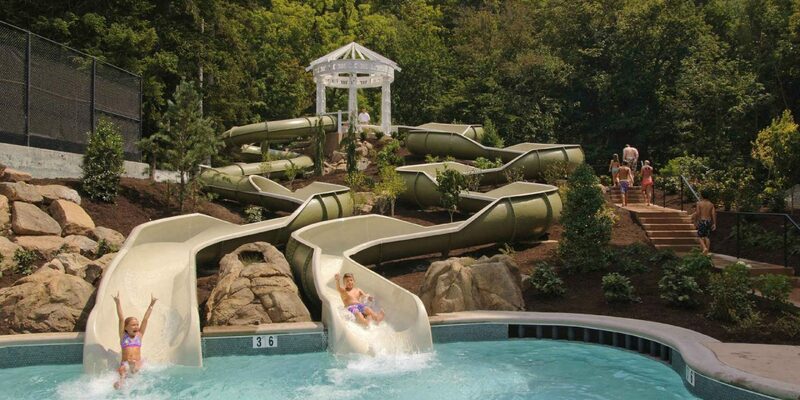 The Omni Homestead Resort in Hot Springs, Virginia, has two 100-foot, corkscrew waterslides that are perfect for all ages and feature the Allegheny Mountains as their backdrop. The resort also features a winding lazy river, water play zone, swimming pools and private cabana rentals.